Well, as far as I am concerned, you can never have too much color so I developed new variations for two of my favorite necklaces. Cheers! This lovely angel is securely fastened with micro screws to a winged filigree scroll which is tinted by hand with a variety of paints and gilders paste. Love the varied hues! Hand-tinted in burgundy, cherry and gold using paints and Gilders paste, this lovely maiden is ready to sail! Of course you need earring to go with all these new necklaces, but of course not matchy-matchy (do you remember “What Not to Wear? 😉 ), just an echo of the hues in the jewelry. 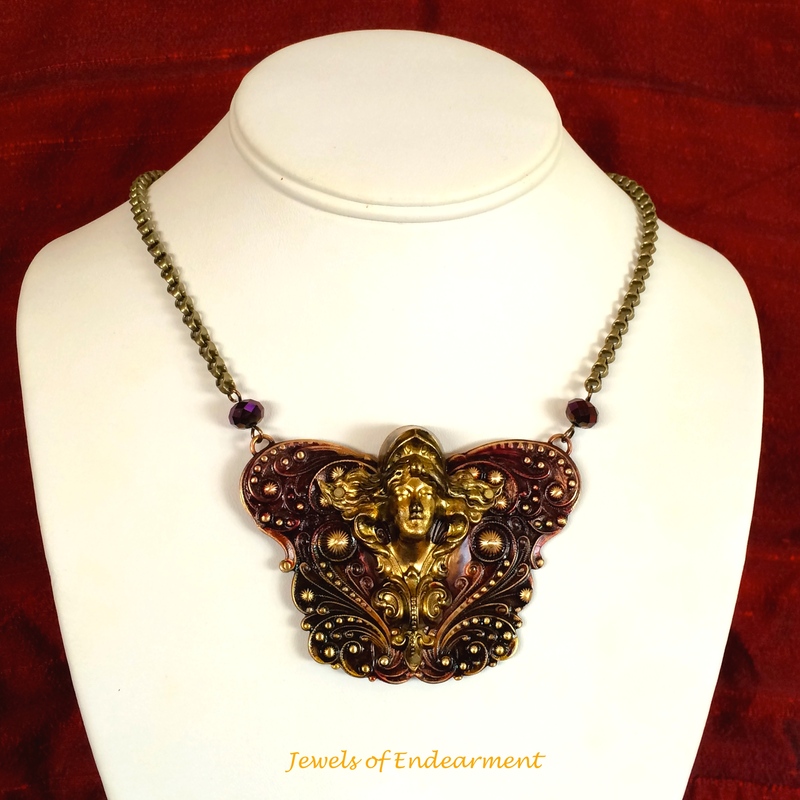 This entry was posted in Earrings, Necklaces and tagged Earrings, hand colored, Hand crafted, layered stampings and filigree, necklaces. Bookmark the permalink. 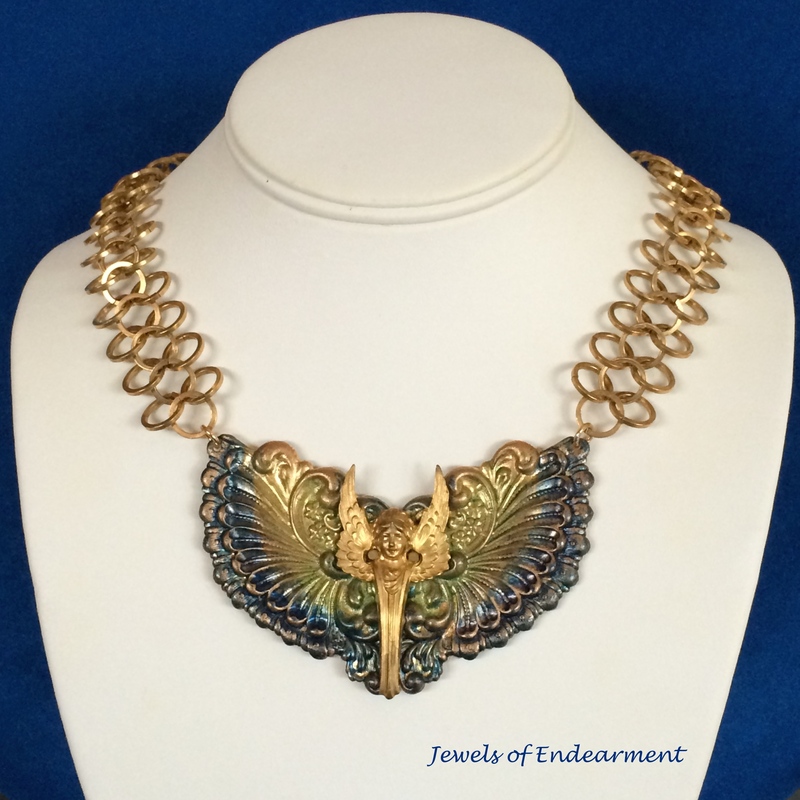 The Art Deco necklace is fabulous! Brings style back to jewelry. Always creative and innovative! Cheers!